The Zwilling Kramer 8" Chef's Knife comes with a high price tag but we think it's an incredible knife for anyone. It's extremely sharp and allows for very precise cutting and chopping. The durability, weight, handling and performance shows why this knife is $200. If you're looking for something cheaper, continue reading. Japanese knives are great. We love them. They're sharp and classy. 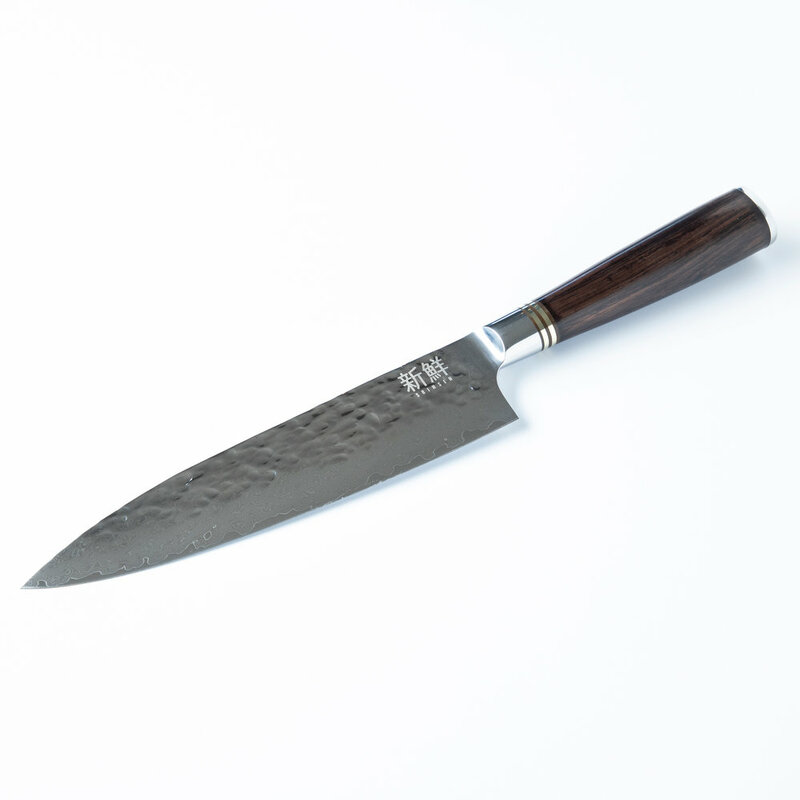 The Miyabi Birchwood SG2 8” Chef’s Knife is great on veggies and meats but comes at a high price point. If you're looking for the A-List, you've found it. But it will set you back a significant amount, over $220. Like Miyabi, the Shinsen Pro 8" Chef's Knife is a head-turner - not just because it looks great. It also costs a significant amount less. We tried this knife out for the first time recently and were blown away. You'll get the same look and feel as a Miyabi, but without having to spend as much. Similar knives will run you over $175. For the time being, it looks like they're offering 20% off as well. A classic. The Zwilling J.A. Henckels Pro Chef’s Knife has the classic feel, weight and chopping abilities. It won't give you the same sharpness as our previously mentioned knives, but it's up there. The durability on this knife allows any chef to use it in a variety of ways. From soft veggies to squashes, it'll do the job. Similar to Zwilling, WÜSTHOF 8” Cook’s Knife is probably one of the most popular knives in the kitchen. It's going to give you similar performance to the Zwilling blade, but the style is slightly different. Like comparing a PC to a MAC, both get the job done. We've tried both, and we love both.